instructed dozens of anglers and craftsmen in the art of split cane rod making. He was instrumental in establishing the first Rod Makers School at the Catskills Fly Fishing Center in Livingston Manor, New York. His list of credits include: skilled woodworker, rod maker, angler, author, publisher, and dedicated environmentalist. 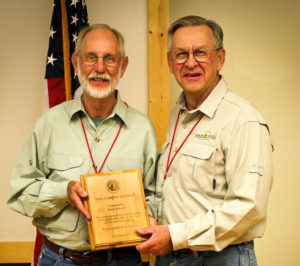 Over the past 27 years Ron has received awards and recognition from both Trout Unlimited and the Rod Making community. Receiving the A.P. Bellinger award in 2011 for his contributions to rod making is one of Ron’s proudest accomplishments. In 2018, Ron was honored with the Wes Cooper Award by the Rodmakers at Grayrock to recognize his contributions to the craft of bamboo rod making. 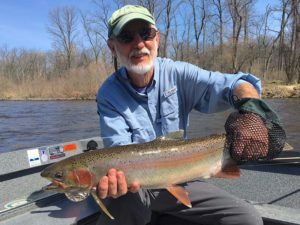 Having designed and crafted split bamboo fly rods for American, Canadians, Europeans, as well as groups such as Trout Unlimited, Ron understands what a fly rod should accomplish and how to make one that meets the angler’s expectations. Ron shares a home with his wife Carole in rural Hastings, Michigan. When he is not in the shop or at his desk, he chases trout and grouse and sometimes his grand kids.